HomeDealersIsuzu Motors strengthen its dealership network in Punjab. Inaugurates a new dealership facility in Chandigarh Tricity. 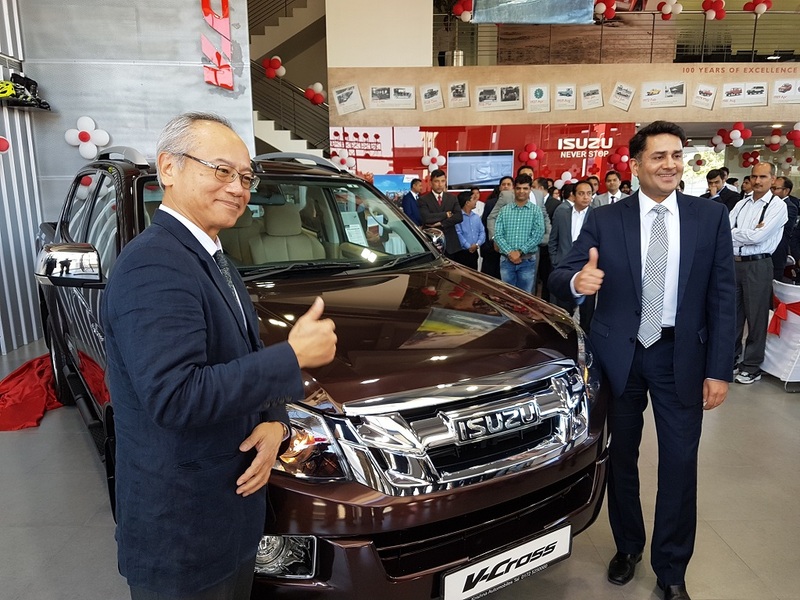 25 February 2017, New Delhi: Isuzu Motors India Private Limited inaugurated a new 3S (Sales, Service, Spares) facility in Punjab with the opening of the new outlet of Krishna ISUZU in Mohali today. This is the third 3S facility of ISUZU in the region after Ludhiana and Jalandhar and would cater to the needs of Chandigarh Tricity covering, Mohali, Chandigarh and Panchkula. 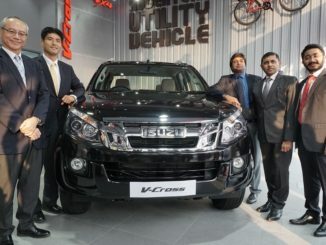 The facility would uniquely showcase India’s first Adventure Utility Vehicle, The ISUZU D-MAX V-Cross; the V-Cross was also launched in Mohali on the occasion of this inauguration. The new dealership facility ‘Krishna ISUZU’ in Mohali will provide access to world-class ISUZU vehicles to customers in the region. The showroom has been designed and built according to ISUZU Dealership Standards and is strategically located so as to provide a convenient access to the visitors and customers. The dealership employees have been trained under the supervision of ISUZU personnel and will provide a quality customer experience to the visitors. The showroom is designed to promote the ‘spirit of lifestyle and adventure’ in the region. The entire range of ISUZU vehicles, including the V-Cross are manufactured at the SriCity plant in Andhra Pradesh with a high level of localization. The plant at SriCity which was inaugurated in April 2016 is a state-of-the-art manufacturing facility of ISUZU. With a capacity of 50,000 units per annum, the plant is slated to become one of the key manufacturing hubs of ISUZU globally. The Isuzu D-Max V-Cross is India’s First Adventure Utility Vehicle, and caters to those SUV buyers who seek adventure and want to stand out among their peers. The V-Cross comes with a highly capable 4WD, loads of modern SUV features and a large practical luggage deck. The Isuzu D-Max V-Cross has been awarded as the Lifestyle Vehicle of the Year at the 09th BBC Magazine TopGear Awards & 17th CNBC-TV18 Overdrive Awards. The D-MAX S-CAB, a 5-seater pickup, offers a unique combination of Space, Performance and Strength in Smart proportions. It caters to the modern businessmen and professionals who seek high level of sophistication, space and utility in a commercial pick-up. The S-CAB blends these features smartly and offers practicality to customers’ and promises superior advantage to their businesses. The S-CAB is also ergonomically designed with a host of superior features for safety, comfort and convenience for the modern pickup driver. The S-CAB has been awarded as the‘Commercial Vehicle of the Year’ and Reader’s Choice CV of the Year’ by Flywheel Auto Awards 2017. 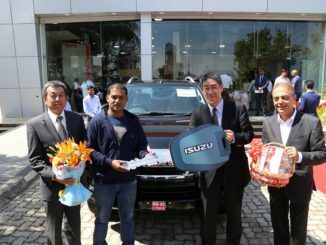 Isuzu Motors India Private Limited (IMI), a subsidiary of Isuzu Motors Limited, Japan, was established in August 2012. Headquartered in Chennai, the company currently sells a range of ISUZU D-MAX pick-ups in both personal & commercial segments. ISUZU vehicles are known for its reliability and performance around the world. Renowned world-over, the vehicles are gaining huge significance in the Indian market as well, thanks to the ‘value proposition’ it offers the customers. ISUZU inaugurated its own manufacturing plant in April 2016, spread over an area of 107 acres, at Sri City located in Chittoor District, Andhra Pradesh. The company began its manufacturing operations, with strong focus on quality and commitment to Indian market. Isuzu Motors India began its vehicle production with 70% localisation at Start of Production (SoP) and aims to increase it in future. The initial production capacity of the manufacturing plant is 50,000 units per annum.